Consider Invisalign treatment to get the beautiful straight teeth you’ve always wanted — without braces. A complimentary consultation with Dr. Henao can determine whether Invisalign clear aligners are right for you. Not only are the aligners virtually invisible, but they are removable, so you can eat and drink what you want while you’re in treatment. Plus, brushing and flossing are no problem. They are also more comfortable than traditional braces, with no metal or wires, which usually means you spend less time in our office getting adjustments. 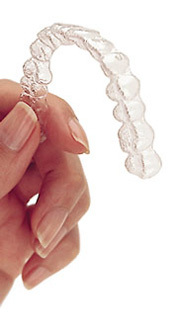 No more excuses for crooked teeth: Invisalign Express could be the right solution for you. With this innovative technology, we can make minor straightening easier and more affordable. The aligners are clear plastic sheaths that slip over the teeth and gently force them into a new and more aligned position. The basic system takes between six to eight months and is a perfect solution for minor orthodontic issues such as very mild crowding or spacing. Don’t miss this great opportunity. Call us now for your free consultation. Unlike traditional metal braces, your Invisalign Teen aligners are clear, removable, really comfortable and very durable, which means you can go ahead and eat all the things you love without worrying about breaking a bracket and they fit in with any of your extracurricular activities. So you don't have to worry about your braces getting in the way!